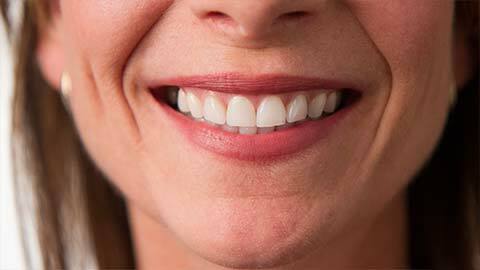 Periodontics is the branch of dentistry that deals with your gums and the tissues that support your teeth. Periodontal services include treatment and prevention of gum disease, procedures involving the gums and bone tissue, and tooth extractions. Tartar is a very hard substance that naturally builds up on your teeth. If it isn’t removed it can irritate your gums and harbor bacteria, putting you at risk of gum infections and tooth decay. We remove tartar with a special device called a scaler to keep your teeth and gums healthy. The roots of your teeth are normally smooth. Sometimes rough patches can occur. These patches can irritate your gums, making them vulnerable to infection. We remove the rough patches and make the root smooth again, reducing this irritation. A tooth may need to be extracted to protect the health of your mouth. We extract teeth as painlessly as possible and we’ll consult with you on tooth replacement options. When a tooth is extracted an empty socket remains in your jaw. This socket can collapse and cause structural problems for the surrounding area. Socket augmentation is a procedure we use to fill the socket to keep it from collapsing. When a tooth has been missing for some time, or if a socket has collapsed, the surrounding area, called the “alveolar ridge” can deteriorate. We can augment the ridge with donor bone and gum tissue to build it back up and restore the shape of your jaw. Procedures to augment jawbone tissue include grafting donor bone tissue in the area to be augmented. The grafted tissue integrates with your natural bone to form a stronger bone structure. Irritation of the gum tissue surrounding a tooth can cause the tissue to recede from the tooth, causing a small “pocket” to form. Bacteria can get into this pocket and create a dangerous infection. We can clean the pocket out and reduce it to keep this from happening. Crown lengthening refers to any procedure to reduce the gum tissue around the base of a tooth. Common uses for crown lengthening include cosmetic enhancements and preparation of a tooth for a restoration. Gum disease is caused when a severe bacterial infection spreads into the gums. The best prevention for gum disease is good dental hygiene including proper diet, regular brushing and flossing, and regular visits to your dentist. The symptoms of gum disease include bleeding, sore or receding gums. If you are experiencing any of these symptoms you should speak to your dentist. Keep your gums healthy. To learn more about our periodontics services or to make an appointment contact our office.